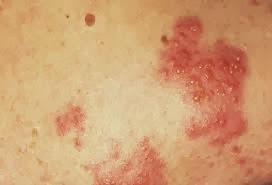 Shingles is a skin rash caused by the same virus that causes chickenpox. This virus is called the Varicella zoster virus -VZV and is in the herpes family of viruses. After an individual has chickenpox, this virus lives dormant in the nervous system and is never fully cleared from the body.